What is it about me, the Victory and the rain? Before I attempt to get to the bottom of that conundrum and answer that rhetorical question please allow me to backtrack. On Australia Day, after enjoying a couple of hours at Young & Jackson drinking beers, watching cricket and tennis on the big screens and taking in tunes performed by solo singer and acoustic guitarist Chris from the mother of all cover bands Mamma Jam, I headed to Degraves Espresso Bar to meet my long term friend, Les for a bite to eat before heading off to the sixth edition of the Australia Day blockbuster “Big Blue” at AAMI Park which, bury the lead, saw Sydney Sky Blues’ perfect winning streak remain intact as they triumphed over Melbourne Victory 3-1. It seemed curious, and yet somewhat apt, to me that I should be attending a soccer match named The Big Blue since, being a scuba diver, this is the very same title of one of my favourite eighties films. 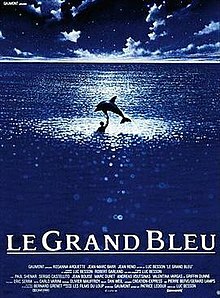 The Big Blue (released in some countries under the French title Le Grand Bleu) was a 1988 English language film directed by Frenchman Luc Besson focusing on a fictionalised and dramatised story of the sporting rivalry between two childhood friends Jacques Mayol (played by Jean-Marc Barr) and Enzo Maiorca (played by Jean Reno) who became world-renowned champion free divers going on a spectacularly beautiful and yet perilous journey into the unknown and most significantly inside themselves. Even more so since having taken in the breathtaking scenery at a number of Greek Islands a few years ago, The Big Blue continues to remain very dear to me and still to this day a framed film poster of The Big Blue adorns the wall overlooking my bed. 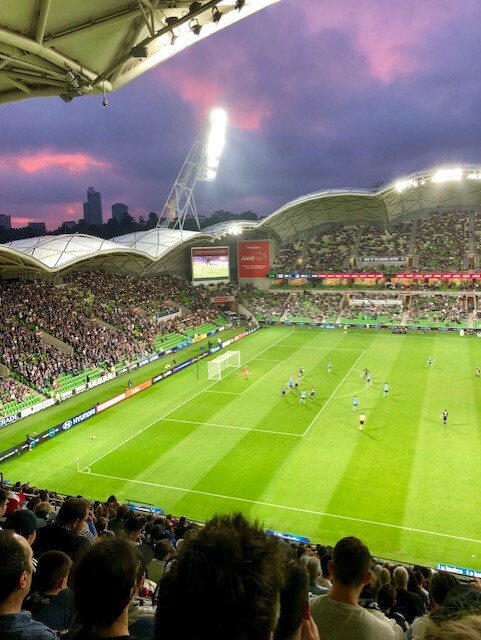 Once again on this my second jaunt to the Melbourne Rectangular Stadium, it was the music that impressed and literally moved me just as much as the actual game. So, I wonder who ripped off whom? 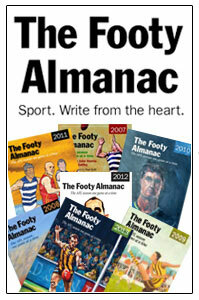 Me thinks Sydney FC (2005) who are a much younger football club than the mighty Saints (1873). Other pre-game Australia Day themed musical entertainment included an orchestral arrangement of You’re the Voice (1986) by John Farnham from his Whispering Jack album and Icehouse’s classic Great Southern Land (1982) from their Primitive Man album. Then it was time for the home side to run out on the ground to the strident strains of Stand By Me Melbourne Victory Club’s anthem and I was automatically up on my feet singing along loud and proud with the rest of the navy blue fans. Then during the half-time break, after a scoreless first half of the game, we were treated to the classic Aussie anthem Down Under (1981) from Men at Work from their Business As Usual album which had everyone up off their seats and singing and dancing along creating an ambient atmosphere. As the rain cleared a second-half goal kicking frenzy ensued. My favourite superstar soccer livewire forward Besart Berisha kicked the first goal which got the Victory fans extremely animated and vocal. But within two minutes Brazilian footballer Deyvison Rogério da Silva affectionately known as Bobô had swiftly scored an equaliser followed up not soon after with a second incredible goal. Undoubtedly marquee striker Bobô is the apple of the Sydney FC’s fans eyes and it was at this point of the match that the Sky Blue clad patrons rose to their feet in sheer ecstasy. But to truly rub salt in the Victory fans it was David Carney who finally sealed Sydney FC’s resounding victory with a goal in the dying minute of The Big Blue game. 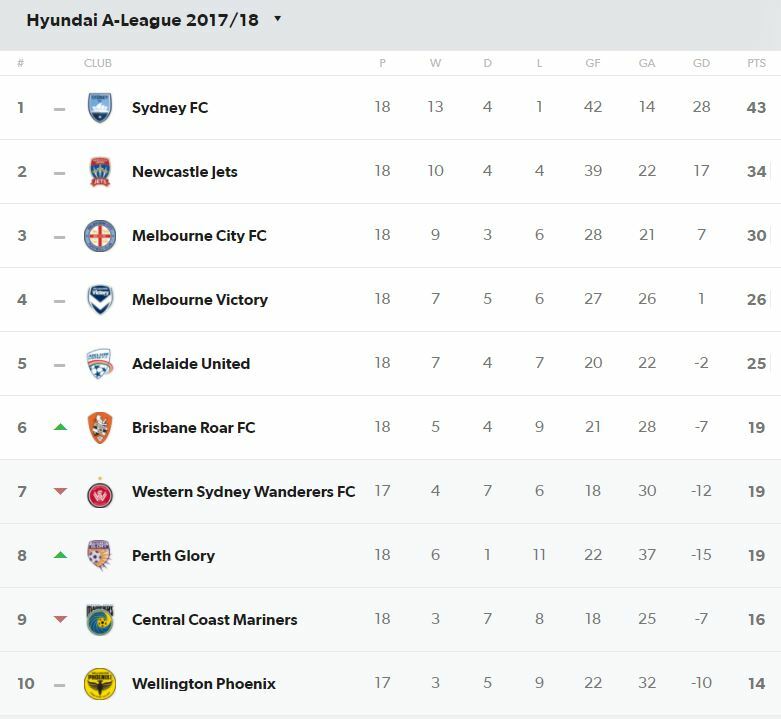 The successful Sky Blues have now moved nine points clear at the top with Melbourne Victory sitting fourth on the A-League ladder! Of major concern, however, is the recent news that Mark Milligan is now moving to Al-Ahli. What does this mean for his Socceroos prospects and Melbourne Victory going forward? Watch this space. 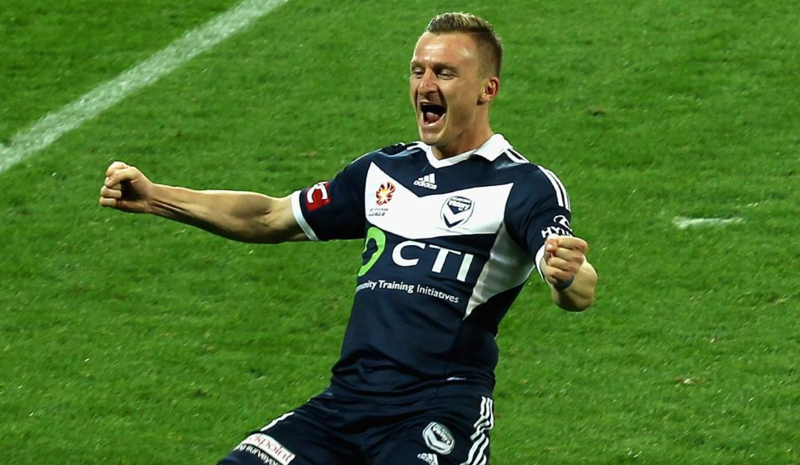 In my usual fashion, I will end this article with a musical tribute to Melbourne Victory’s beloved Kosovo Albanian professional footballer, Besart Berisha. In keeping with the Australia Day theme I have reworked the Clouds song, Soul Eater. 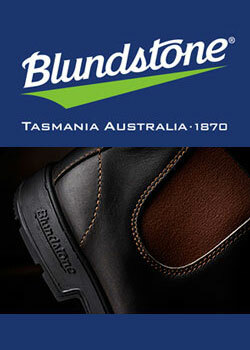 The Clouds (also called just Clouds) are a Sydney based indie rock band formed in December 1989. The line-up of The Clouds has changed several times over the years with different drummers and lead guitarists. The Clouds’ music is distinguished by rapid and unexpected chord changes, imaginative bass guitar, and melodic vocal harmonies. They released 4 albums and numerous EP’s and singles before breaking up in 1997. They reformed in 2011 and I was fortunate enough to see them play at The Corner Hotel, Richmond in 2014 and they certainly kicked goals that evening! Within the song, I have referenced the Rambler Rebel car as not only do I think it personifies Berisha’s eclectic shiny style but also because Rambler is a Russian search engine thus acknowledging Russia’s proximity to Besart’s hometown Kosovo. 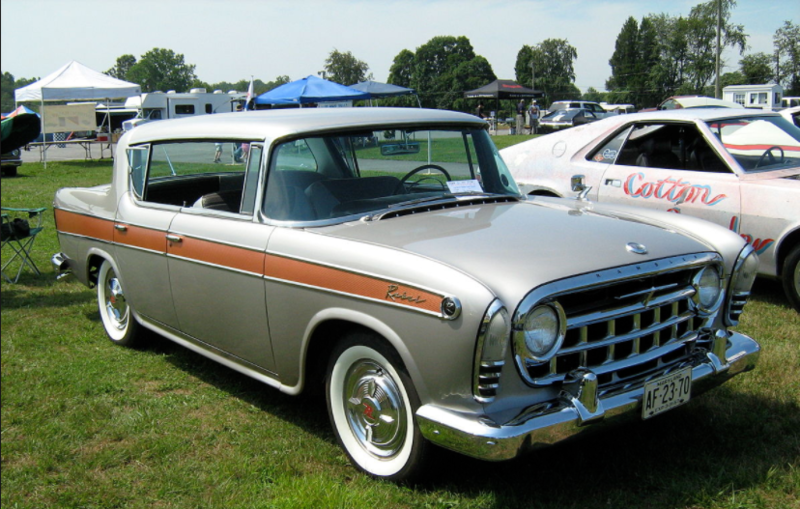 The American Rambler Rebel was introduced as a stand-alone model in one body style, the 1957 Rambler Rebel is credited for being the first factory-produced intermediate-sized high-performance car which later became known as the ‘muscle car’. It was also to be among the earliest production cars equipped with electronic fuel which to seems so very fitting for the fuel injected Bezerker Berisha. Your Australia Day seemed to be filled with sports. How were tennis and cricket? It’s sad to hear your Victory didn’t win… Did you want to hide in the cove when the sky blue went marching in? Describing the blue rivalry with ‘The Big Blue’ film and your retuning songs are what I am impressed with. I admire your talents in art and song as well as writing. I hope your Victory win the next game. However, I quickly snapped out of my mental coma and thoroughly enjoyed your Oz Day A-League piece. Whether it be art, films, music, scuba diving or vintage cars – or even sport – I always learn something from your creative compositions. 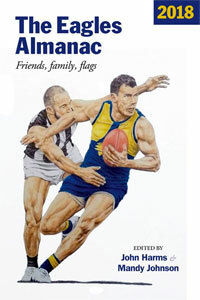 Many thanks for your kind comments regarding my Australia Day Big Blue post. Yes, as it turns out I took in more than the A-League soccer that night. During the afternoon I was a true Summer sports spectator watching both the Australian Open tennis and the ODI Series cricket between Australia and England played at Adelaide Oval simultaneously on two big screens at Young & Jackson Hotel. No, dear Yoshmeister, I did not want to hide in the cove, or even a cave, when The Sky Blues went marching in as they were clearly the better side on the night. It was more the fact that it was hard to hear them play the Oh when Sydney Goes Marching in song when really in that last day in September I want not be hearing Oh When the Saints Go Marching In over and over again on repeat!! The reality is the Victory aren’t striking the right chords at the moment and perhaps need to take a leaf out of their cross town rival and recruit some youth into the side. GO SAINTS! GO VICTORY! 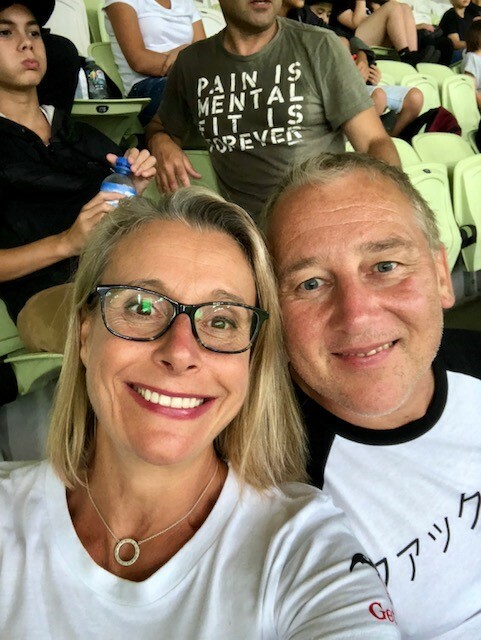 GO OSAKA DINGOES! Based on your opening comment clearly my reputation for imbibing the odd pint of two of amber liquid precedes me! It is heartening to hear that you always learn something new from reading my pieces. I am very much aware that as a sports spectator I tend not to report on games with a blow by blow description of the action that took place or and in-depth commentary on specific players and their statistics. I have an obtuse monkey mind whereby music, films, colours, shapes, smells and yes, even cars inevitably will permeate my mind while watching sport such that I feel the need to express it in my writing. 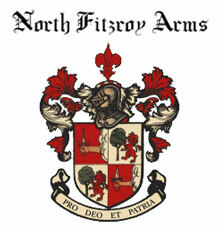 My philosophy: indulge in fine culture (whether it be sport, cinema, cuisine, theatre, art, music or a hybrid of all of the aforementioned) and imbibe a beer or a quality red in order to find inspiration and flow freely creatively. To that end, thanks for acknowledging my sunset shot which I can assure you was even more spectacular in situ. 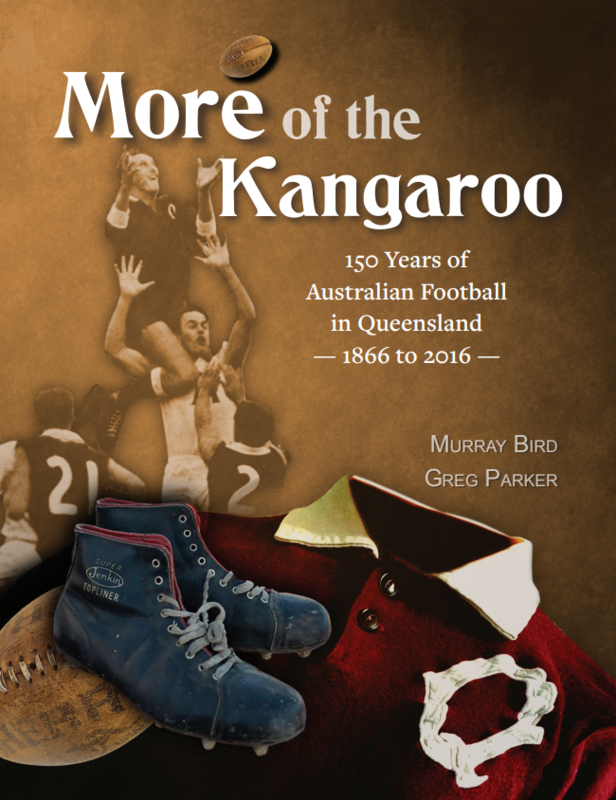 Finally Pete, I know you are currently busy in the throes of writing your Fitzroy FC book but I’m wondering when we may once again collaborate as Carjam. On Saturday 25th March the Saints will host the Lions at Docklands…are you up for the challenge?! ?